As I’ve written elsewhere, I love the leafy avenues of Shanghai’s old French Concession, which makes a great change of pace from the bustle of the centre. There’s excellent coffee here too, including a find from my first visit in 2016, Rumors Coffee Roastery on Hunan Road. This is the original Rumors, established in 2011, but there’s a second, larger branch on the nearby Xingguo Road. Since I failed to find it on my return in 2017, I made a point of tracking it down during my latest trip. In a city where many speciality coffee shops have a western in style/influence, Rumors draws its inspiration from the traditional Japanese kissaten, immediately calling recalling the likes of Tokyo’s Café de L’Ambre and Chatei Hatou. Founded by a Sino-Japanese couple, it’s in some ways a trend-setter, the likes of % Arabica and Chez Black Coffee following it into the area. Rumors roasts all its own coffee on-site, serving a wide range of origins. If you’re looking for an espresso or flat white, however, you’re in the wrong place, since Rumors only serves pour-over through the V60. Offering full table service, pick your bean from the extensive menu, sit back and relax. 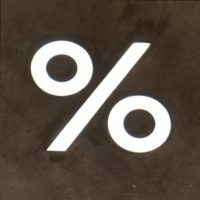 My first experience of % Arabica in Shanghai wasn’t, in fact, the flagship Shanghai Roastery, but instead came two days earlier at the Xintiandi Plaza shopping mall, rather mirroring my first ever experience of % Arabica at Kyoto’s Fujii Daimaru Department Store. This is the most recent of (for now) four % Arabicas stores in Shanghai, located in the mall’s rather pleasant semi-open basement courtyard. As with all the % Arabica stores that I’ve visited, it’s disposable cups only, so don’t forget to bring your own. This is despite there being a reasonable amount of seating, with two window-bars and a comfortable bench. 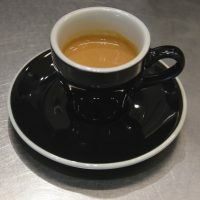 Turning to the coffee, the offering’s identical across all % Arabica’s Shanghai branches: house-blend (Brazil and two different Ethiopians) and single-origin, both available as espresso or pour-over (through the Chemex), with a limited selection of pleasingly-small sizes for milk-based drinks (4, 6 and 8oz). And, other than some merchandising and a retail selection of beans, that’s it, although there is a food court in the basement, where you’re welcome to take your coffee. Seesaw’s one of Shanghai’s speciality coffee pioneers. The coffee shop/roaster started in 2012, and now has 12 branches in Shanghai, three in Shenzhen, two in Suzhou and one in Beijing. My first introduction to Seesaw was at the flagship Seesaw 433, but sadly this has recently closed, the landlord requiring the building back. Therefore, when wandering Pudong’s IFC Mall in search of the Metro Station, I immediately changed my plans on seeing Seesaw on a list of shops. Tucked away at the far end of the mall, next to the cinema, Seesaw occupies an open, triangular space. The back wall forms one side, while the two-part counter, along with a square pillar in the corner, forms the remaining two sides. There’s limited seating, with tables along the back wall and stools along the counter, but despite its modest size, you get the full Seesaw treatment, including proper cups for sit-in customers (something Shanghai’s other chains could learn from) and a full range of coffee, with the Giraffe blend on espresso, where it’s joined by a single-origin, another seven available on pour-over through the V60. There’s also a retail selection, small breakfast, lunch and afternoon menus, plus a generous cake selection. I set off one murky Sunday evening in Shanghai with the aim of catching a basketball match, but armed with the knowledge that along the way there was a branch of my favourite Shanghai roaster, Little Bean. Located in the lobby of the Century Link Tower 2, it was right above my destination, the Century Link metro station. Sadly, Little Bean appears to be closed at weekends, but while I was looking for Tower 2, I wandered past Tower 1, where, glancing through the window, I saw Mellower Coffee in the lobby. 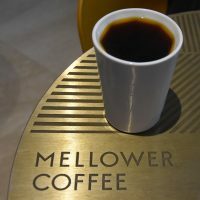 Mellower Coffee is a local coffee shop/roaster chain, with multiple branches around Shanghai. In this case, there’s a simple counter tucked away in a corner of the lobby, with nine two-person tables providing seating in the lobby itself. 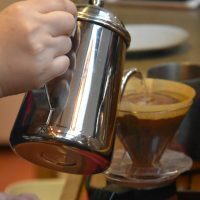 The choice of coffee is impressive for somewhere so small, with two blends on espresso and nine single-origins on pour-over through the Chemex, plus various signature drinks and a small selection of pastries. Unsurprisingly, it’s disposable cups only, so don’t forget to bring your own. 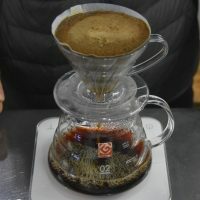 I first became aware of Little Bean on my first trip to Shanghai in October 2016, when I tried its coffee at AUNN Café & Co. On my return in December 2017, Little Bean’s flagship, Little Bean Roastery, was one of that trip’s highlights. 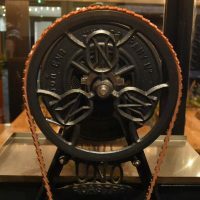 These days, there are five Little Beans, but back then, there were just two, the second being the Little Bean Coffee Museum, located in the basement of the K11 Mall, right in the heart of downtown Shanghai. I managed to visit in 2017, but didn’t get a chance to write it up, so on my return in 2019, I made a point of visiting, even though modern shopping malls are very low on my list of places I want to spend any time in. However, the lure of Little Bean, tucked away in the basement, was too much to resist (and the good news is that you can get there straight from the Metro, so you can bypass K11 altogether). What you get is the usual Little Bean offering of a Brazilian single-origin on espresso, plus another Brazilian single-origin on pour-over through the V60, where it’s joined by a selection of single-origins sourced from Nordic Approach. 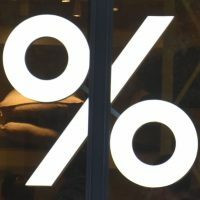 My first experiences of % Arabica were in department stores/malls, initially in % Arabica’s hometown of Kyoto in 2017, where I visited its Fujii Daimaru Department Store branch, then last week in Shanghai, in the newly-opened Xintiandi Plaza branch. In both cases, it was disposable cups only: disappointing, given that both cater to sit-in customers, but forgivable, given the location/style of service. I was therefore looking forward to visiting % Arabica’s combined Shanghai roastery and coffee shop, in a prime location just off the Bund. I have a rule on the Coffee Spot never to write negative/critical pieces. Today, I’m partially suspending that rule. Never have such high expectations been met with such bitter disappointment. Don’t get me wrong: the coffee was excellent, while the setting has so much potential. However, counter-service and disposable cups just don’t cut it for me, not when you could do so much more. 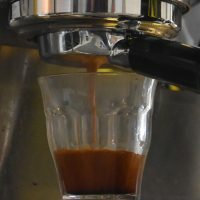 Talking of the coffee, there’s a house-blend (Brazil and two different Ethiopians) and a single-origin, both available as espresso or pour-over (through the Chemex), but that’s pretty much it. You can, of course, buy the beans, while there’s a limited range of merchandising on sale, but don’t forget to bring your own cup. When I first visited, at the end of April 2014, Edinburgh’s Fortitude was the new kid on the block, having been open for all of four weeks. When I returned, at the end of last year, it had been going a bit long than that, but at first glance, not much had changed, particularly not when viewed from the street. Even when you go inside, the layout and décor is much the same, a small, high-ceilinged space, single window at the front, counter at the back, with the espresso machine tucked away around the corner. The original Manner Coffee on Nanyang Road in the Jing’An neighbourhood was one of my finds from my first visit to Shanghai, part of my first round-the-world trip in October 2016. When I returned at the end of 2017, I discovered that a second branch of Manner Coffee had opened on Fengxian Road, just a couple of blocks to the east of the original. Naturally I had to check it out. Whereas the original is a hole-the-wall, literally a window in the side of a building, opening onto the street, the new Manner Coffee is much bigger, although it’s still tiny. This time it occupies the front half of a shop, with the rear section home to a small restaurant. The operation’s very similar though, with a window at the end of the counter opening on the street, where you order. 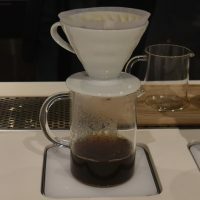 The offering’s also very similar, Manner roasting all its own coffee, with a blend on espresso and up to seven single-origins on pour-over through the V60. Naturally, all the beans are available to buy. Rival Bros was brought to my attention by my friend Greg of Coffee Guru App fame. On my first visit to Philadelphia, in 2014, Rival Bros was a roastery with a growing reputation and a coffee truck near the station. Sadly, I missed out visiting that time, but when I returned the following year, Rival Bros had opened its first bricks-and-mortar coffee shop on the corner of 24th and Lombard Streets. Fast-forward anther three years (to this time last year) and I was once again in Philadelphia, part of another of my Grand Adventures. By now, Rival Bros was up to three coffee shops, including the subject of today’s Coffee Spot, its most recent venture on Tasker Street, firmly on Philadelphia’s south side, where it joins the likes of Ultimo Coffee and Plenty Café. The ubiquitous Revolver blend is on espresso, where it’s joined by a decaf option and a single-origin, with more single-origins (four during my visit) available on pour-over through the Chemex. There’s also batch-brew if you’re in a hurry, plus cold-brew, nitro cold-brew and various iced coffees. If you’re hungry, Rival Bros has a small menu featuring two toast options and two sandwiches, plus a selection of cakes. Undaunted, I returned in 2018, this time before the Manchester Coffee Festival. Along with fellow coffee blogger, Charlotte Scotland (blogging as Coffee All Way), we paid Atkinsons a visit one Friday evening, taking advantage of its late opening hours. 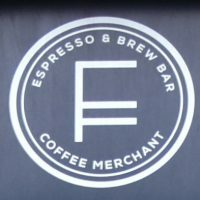 Along with a full espresso-based menu, with a choice of blend or decaf, there’s pour-over through the SP9, a selection of cake and cocktails, and, perhaps best of all, a working 100 year old Uno roaster in the corner!